The ERISA law, which dates to 1974, sets down standards for private-sector pensions and profit-sharing plans. In a profit-sharing plan, an employer makes a contribution of stock or cash to an account each year, calculating the contribution based on the company's net income. Employees must maintain their employment over a period of time to "vest" or gain rights to the benefit. After a maximum of three or six years -- depending on the method of vesting the employer selects -- the employee becomes fully vested, with a right to the full employer contribution. In 1984, a new federal law -- the Retirement Equity Act -- created the right of one spouse to the profit-sharing retirement benefit of the other in a divorce. The terms of the division must be set out in a qualified domestic relations order or QDRO. This court order allows the administrator of the account to set up an alternate payee for the funds: a spouse, an ex-spouse or a child of the holder of the plan. A QDRO must specify the amount or percentage of profit-sharing benefits to be paid to any "alternate" payee, such as a former spouse, as well as the number of payments to be made, or the period of time over which the plan administrator must make the payments. The order can instruct the plan to begin making payments to the alternate payee even if the covered employee is not yet retired. However, the IRS rules on qualified plans apply to profit-sharing accounts, and an early withdrawal penalty may apply if the alternate payee is younger than 59 1/2 and does not set up an IRA account to receive the benefit. The key factor in dividing assets in a divorce is "marital property," meaning those assets that were accumulated during the marriage and belong to both spouses. With profit-sharing plans, the portion accumulated by the employee during the marriage would be considered marital property, while any portion accumulated before the marriage would be non-marital property. In a community property state, the marital property is divided equally; in an equitable distribution state, property is divided according to what the court determines is fair, based on the length of the marriage, the amount earned by each spouse and other factors. There are several methods of dividing marital profit-sharing assets. With an offset, the employee spouse avoids any division by agreeing to substitute cash or other assets for the profit-sharing benefits to which the other spouse would be entitled. With a simple division, the QDRO sets down the percentage of the plan belonging to each spouse. A deferred distribution puts off this division until the spouse holding the account actually retires. Finally, a reserved distribution postpones division of the account to allow the court to factor in any changes in the account rules and any "deferred compensation" that the employer may contribute in the future. Is QDRO Necessary in the Dissolution of a Marriage? Tennessee Divorce Law Center: How Are Retirement Benefits Divided and What Is a QDRO? Because California is a community property jurisdiction, upon divorce, each spouse is entitled to half of all "community" property acquired during the life of the marriage. This rule applies to pensions; however, the issue is complicated due to the difficulty of determining how and when a pension was earned. If you're divorcing in Michigan, you may have questions about how your retirement plan and that of your soon to be ex-spouse will be divided. 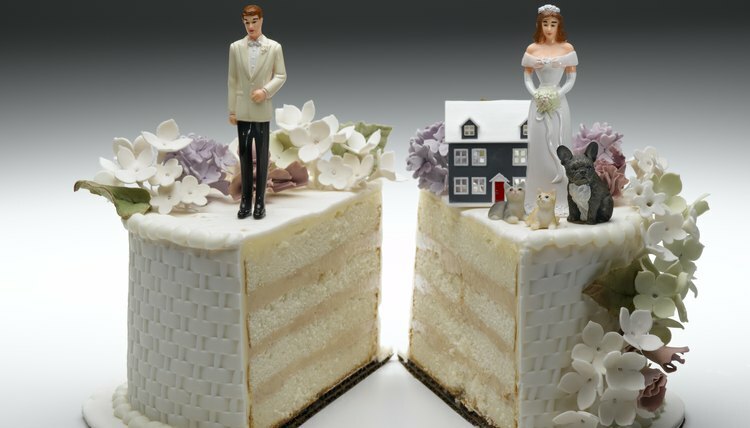 State law determines how Michigan will divide retirement plans upon divorce; however, judges are given leeway as to the division amounts.